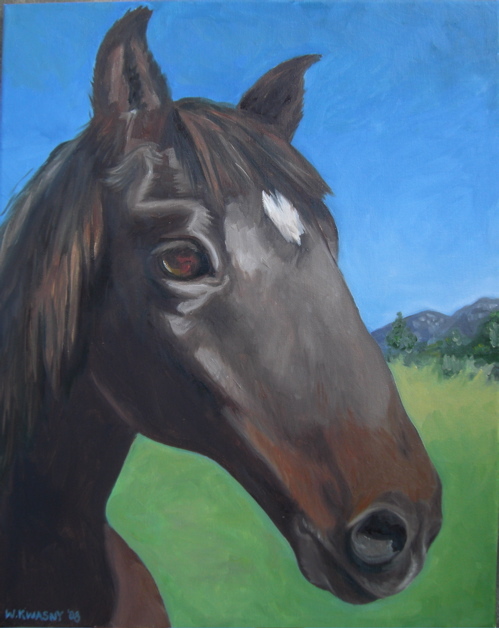 I’ve just completed a commissioned portrait for my friend, of her horse, Concerto. Just head and neck. I went out to meet the horse first and took some pictures. This painting is from one of those photographs. This was really fun to do, to paint an animal as if he was human. I really like the way it turned out- now I just hope she does!–A quick update- My friend did love her painting. Yay!